I’ve been alluding to some of my favorite cookbooks in the past few weeks. Although I love cookbooks, I do have some that I reach for again and again. Today I will share them with you. I remember watching The Romagnoli’s Table television show with my mom. I think it was on PBS. We must have lived in Puerto Rico at the time so that would make it the mid 70s. Mom bought the cookbook and would cook from it. When I started cooking , I wanted my own copy. Since more than a decade had passed I wasn’t sure if it would still be in print so imagine how happy I was to find the new, updated version! It has been well-used over the years as you can see from the photo. I like that it has classic Italian dishes from all over the country. Another favorite that has been used and abused over the years was a gift from my grandfather. 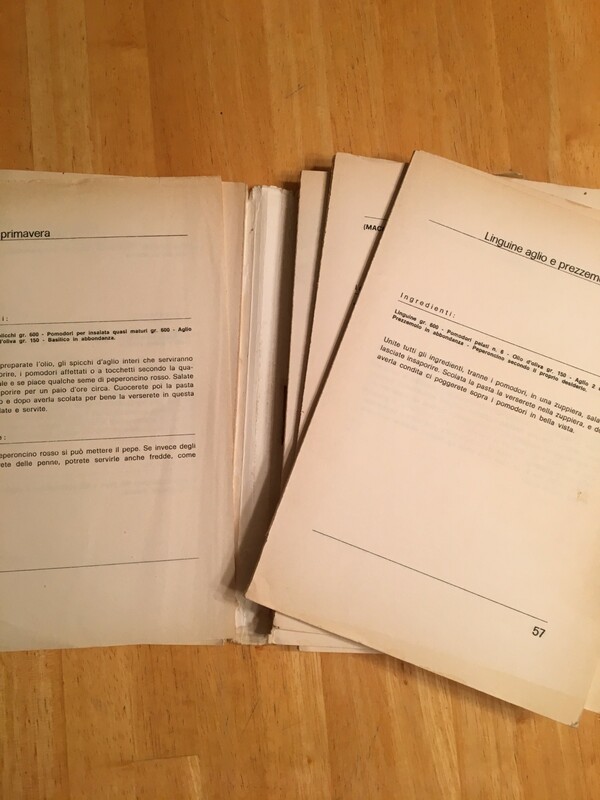 Again, mom had a copy of this Neapolitan cookbook and when I began cooking my grandfather decided I needed my own copy, which was true – I did! Can you see the round circles on the cover? I almost caught it on fire once when it was lying on the stove and I turned on the wrong burner! You can see what kind of shape it’s in. The binding is coming apart!! The pages are splattered and yellowed with age. Yet it is very much loved and used to this day! 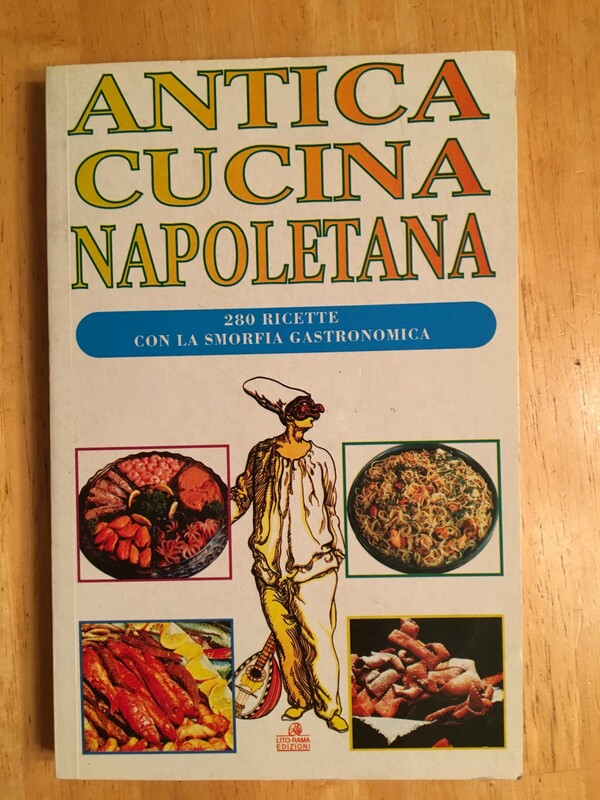 My mother bought me another book on Neapolitan cooking and although I do use it, it is not as loved as the first two. 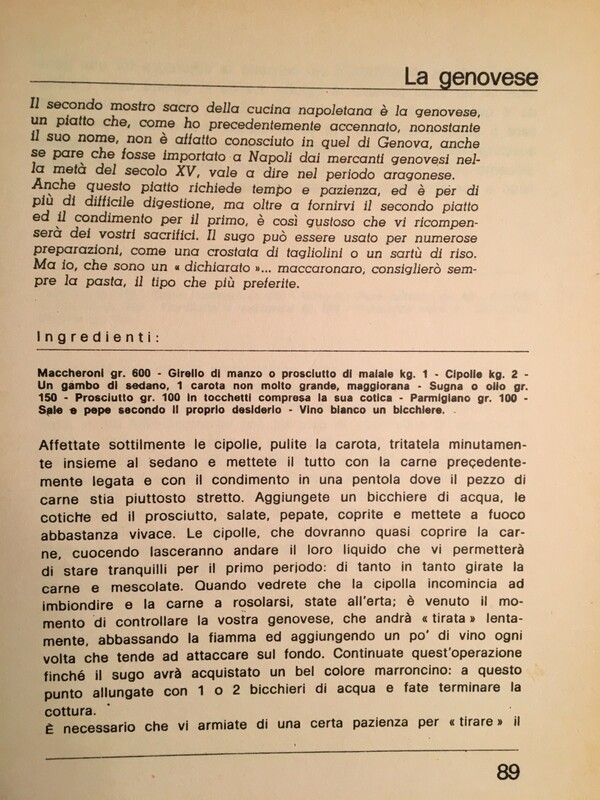 And finally, I thought I’d share my favorite website for Italian cooking. It’s called Giallo Zafferano which means Yellow Saffron. Although it’s an Italian website, they do have many recipes in British English. You may be unfamiliar with cooking by weight rather than volume but if you have a kitchen scale, it’s not difficult. Check it out and tell me what you think! I do love a well-loved cookbook! I’ll be posting MY favorites soon! Those burn marks are cracking me up! Oh good! I wanna see your faves! !